Ultra-soft conditioning cloths offer you superior cleansing and makeup removal while hydrating and soothing your skin, giving you all the care your skin needs in one simple step. These cleansing towelettes dissolve all traces of dirt, oil, and makeup—even waterproof mascara. Plus, they leave skin feeling soft and conditioned with a blend of replenishing hydrators and skin-soothing cucumber and aloe extracts. Use daily for skin that looks and feels clean, soft, soothed, and hydrated. Water, Isonyl Isononanoate, Pentaerithrityl Tetraethylhexanoate, Cetyl Ethylhexanoate, Cyclopentasiloxane, Isostearyl Palmitate, Hexylene Glycol, Aloe Vera (Aloe Barbadensis) Leaf Extract, Cucumis Sativa (Cucumber) Fruit Extract, Glycerin, Carbomer, PEG-6 Caprylic/Capric Glycerides, Sucrose Cocoate, PEG-4 Laurate, Sodium Hydroxide, Dehydroacetate Acid, Benzoic Acid, Iodopropyl Butylcarbamate, Phenoxyethanol, Fragrance. First, I’d just like to state that I love makeup remover/cleansing wipes. They’re great for on-the-go cleansing, and for those lazy late nights when you’d just rather get into bed instead of removing makeup and washing your face. I have had good results using the Neutrogena Makeup Remover Hydrating Cleansing Towelettes. Prior to testing these out, I was using another brand of makeup remover towelettes that was effective, but, it broke out my skin after every use. I also used liquid makeup removers, but, as I stated previously, the towelettes just make makeup removal easier. I like the Neutrogena Makeup Remover Hydrating Cleansing Towelettes because with one wipe, I can remove all of my makeup, even my waterproof eyeliner and mascara! Also, it’s gentle and the pre-moistened towelettes with glycerin and the soothing extracts of cucumber and aloe help calm and add moisture to the skin. I also like that Neutrogena Makeup Remover Hydrating Cleansing Towelettes are soft, and are not harsh or abrasive on the skin. There are things to keep in mind that you may or may not like about the Neutrogena Makeup Remover Hydrating Cleansing Towelettes. Although the towelettes remove all makeup, it does leave behind a residue. It’s not as sticky as when I’ve used my MAC Makeup Remover Wipes, but, it’s there. I’ve found myself wanting to either wash my face after, even though Neutrogena says you don’t have to, or I’d have to use my Mario Badescu Facial Spray with Rose Water and Aloe on a cotton pad to remove the residue. Also, the first thing I noticed when I opened the packaging is the scent. It’s a light floral scent that you will either love or hate. I don’t know about you, but I prefer my skincare products to be unscented. The same floral scent is found in their Ultra Gentle Hydrating Cleanser, which I am currently testing. So far, so good! What’s great about these wipes, isn’t just the price, which is between $6.99-7.99 depending on where you purchase it. I’m into products that are paraben-free, and unlike the other wipes I’ve used, the Neutrogena Makeup Remover Hydrating Cleansing Towelettes contain no parabens. I wish the Neutrogena Makeup Remover Hydrating Cleansing Towelettes came in larger quantities. P.S. 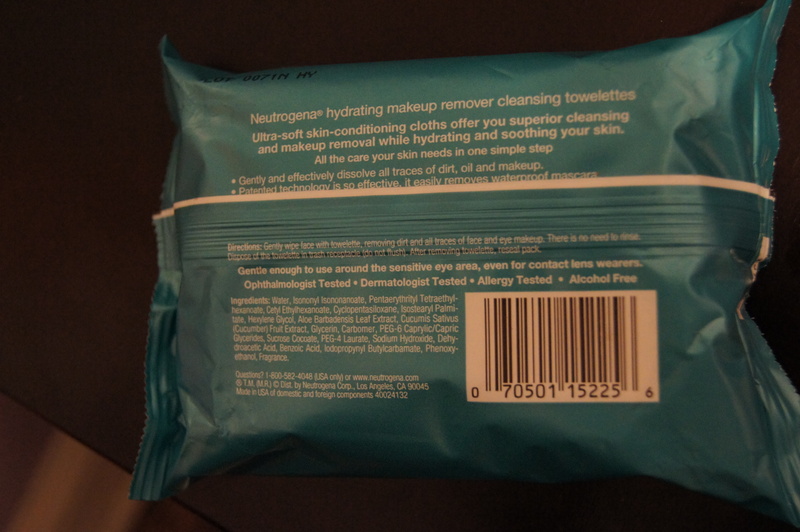 You may want to store these wipes in an ziploc bag to prevent them from drying out. 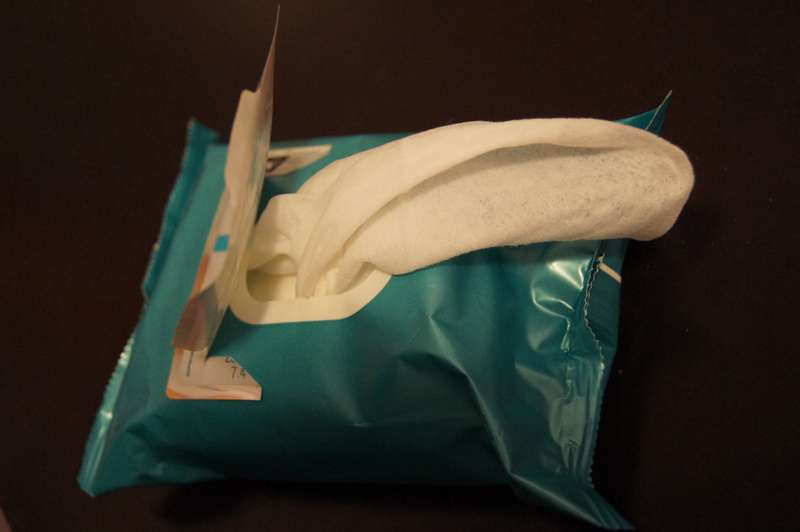 I go through wipes pretty quickly, so I do not have that issue. Have you tried the Neutrogena Makeup Remover Hydrating Cleansing Towelettes? Disclosure: Product provided for review consideration. All opinions are my own and are 100% honest. « Get Your Holiday Shopping Started at The Makeup Show Holiday Pop Up Shop! Neutrogena wipes are my holy grail. I can rarely use anything else because most wipes irritate my skin to no end. I've been using the night calming ones for the past 4 years and don't see myself switching anytime soon! Before these I was using Alcone wipes and MAC wipes. Both work well. I actually like the Alcone wipes because they remove everything and are moisturizing, but, they broke out my skin horribly. That's awesome these work so well!! I'm like you, though… I'd rather have unscented. That is great you are able to get off waterproof eyeliner with them. That stuff can be such a pain! This is a fantastic review. I've never tried Neutrogena's wipes but have to pick up a pack now! I use these and love them. They are so reasonably priced as well. You now have a new follower doll. xoxo. Be Bold. Be Fabulous. Be You! http://www.fashionablyfab.com.